Childhood play experiences strongly shape a person's spatial skills, according to a new CIRES-led study—those skills can be critical to success in fields like science and engineering. 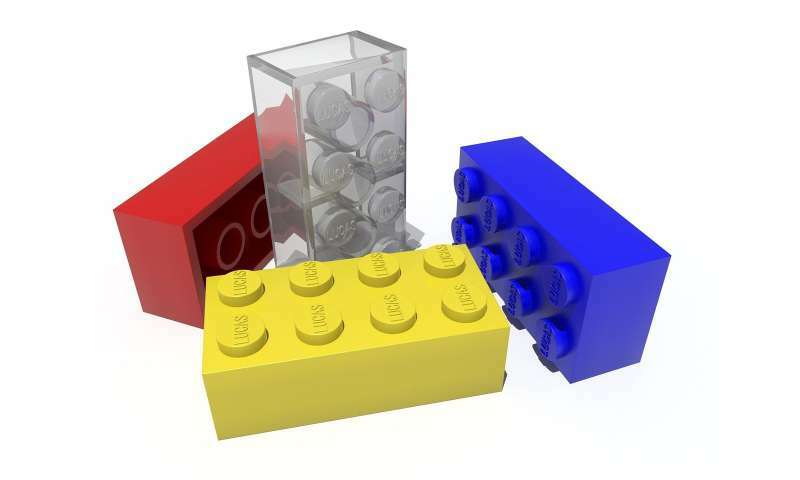 Young adults who played with construction-based toys such as Legos, or with certain types of video games outperformed other peers in tests of spatial reasoning—like the skill needed to mentally rotate objects. And most notably, the new research found that gender differences in spatial skills disappear when the researchers considered the impact of childhood play. The team, who published their work today in Geosphere, surveyed hundreds of undergraduate students and found a huge spread in their spatial skills—students scored between 6 and 75 percent correct responses on a written, spatial-knowledge test. This poses a problem: It's difficult to teach a college-level class with so much variability in skill level. Gold and her colleagues sought to explain this contrast because most geologists need strong spatial skills to be successful. Other studies have shown the influence of childhood play on spatial skills, but Gold's team is the first to show howthe gender difference well described in the literature is mediated through childhood play. "What you choose to do over your life can affect your spatial reasoning," said Gold. "It doesn't need to be video games or Legos specifically—but you should engage in something that's spatially demanding. It can really make a difference." Um, could it simply be that an aptitude for spatial skills means that 'construction' toys & kits are more attractive than eg 'GI Joe' or 'Barbie' ?? So if we just let girls play with Legos they would score as high as boys? All these years of angst over equality and such a simple solution. Well, if females or female children ever display any interest in mechanics, it should be encouraged. The few that there are. And the preceding comments prove the contention that too many people pre-judge their expectations based upon perceived social standards. Parents react to their children's choices at play. Censoring what makes the parent uncomfortable. Choosing what toys are available and modes of play they permit their children.